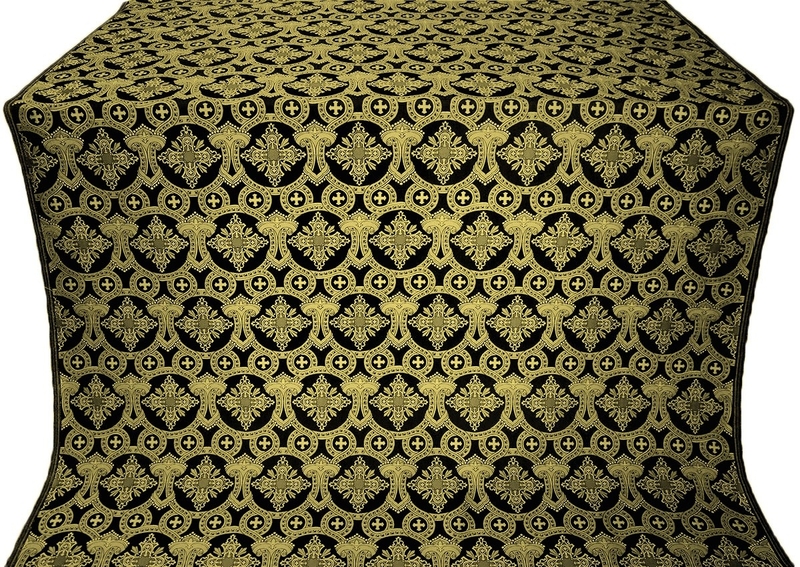 To help preserve and enhance the dignity of Orthodox Christian church functions, Divine Services and celebrations, Istok Church Supplies offer an extensive collection of rayon brocades black-gold. 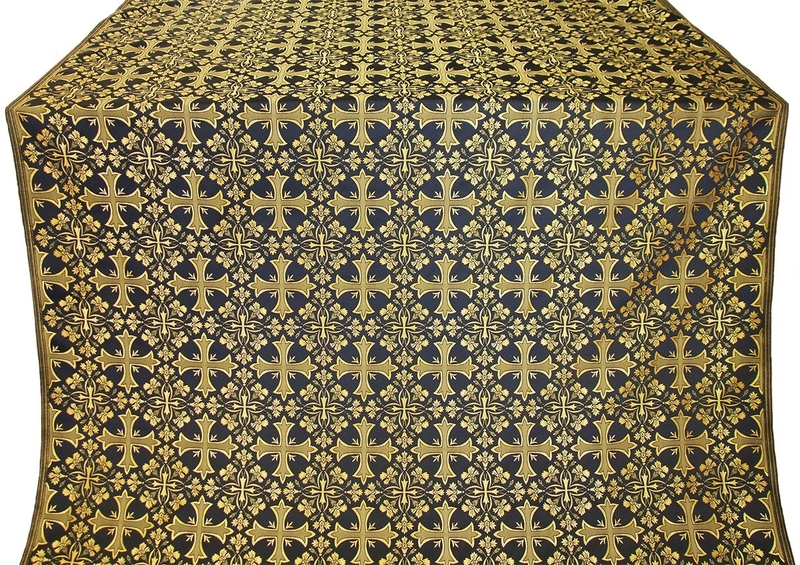 Our sumptuous brocades look gorgeous, last for many years to come and work beautifully for liturgical use in Church sanctuaries. 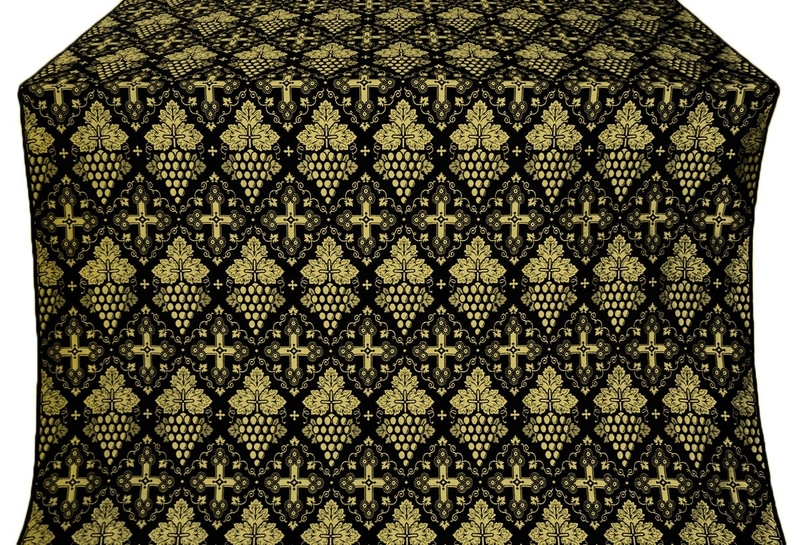 As liturgical fabrics, brocades date back to Byzantine times. With new, manmade varieties, their wear ability, appeal and accessibility has increased. 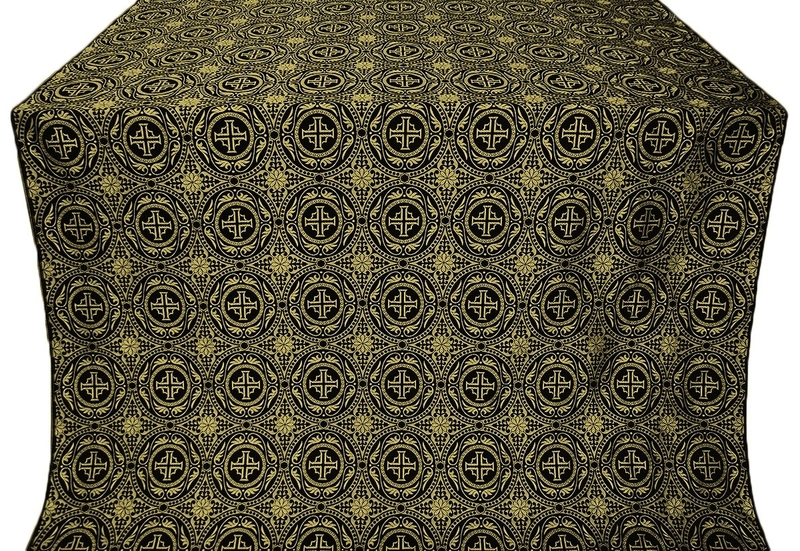 Our rayon brocades black-gold are manmade and feature many attractive Christian themed designs and motifs. 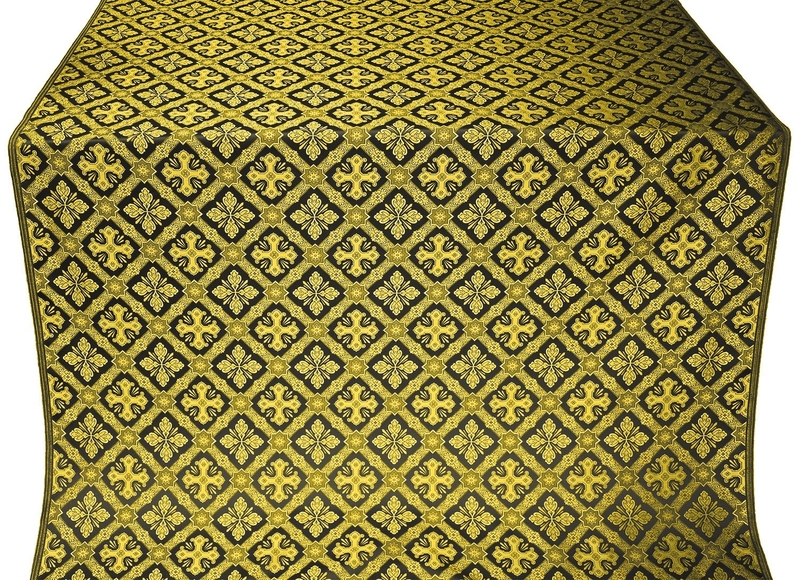 This makes them perfect for constructing a wide variety of cloth articles such as banners, clergy vestments, altar vestments, stoles, chausubles and much more. 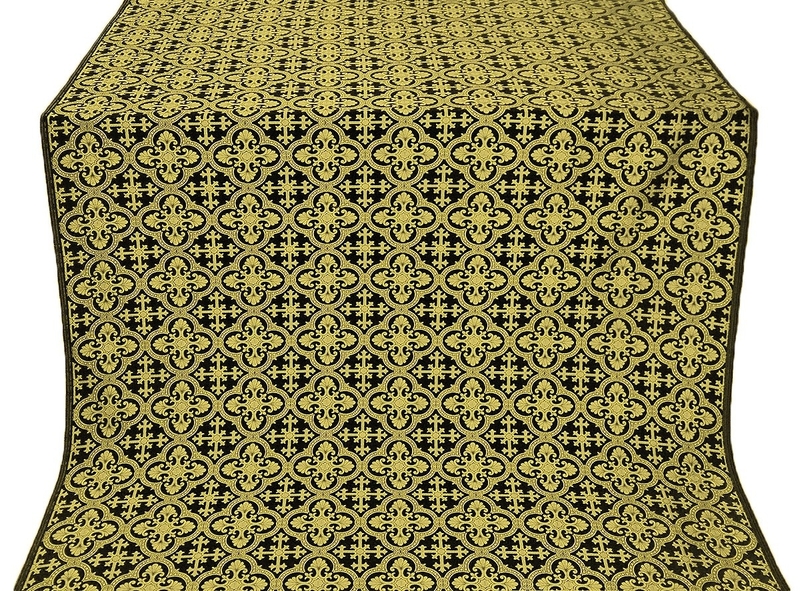 We understand that in Orthodox Christian church worship, fabric features prominently and that is why we provide best quality rayon brocades at affordable rates. 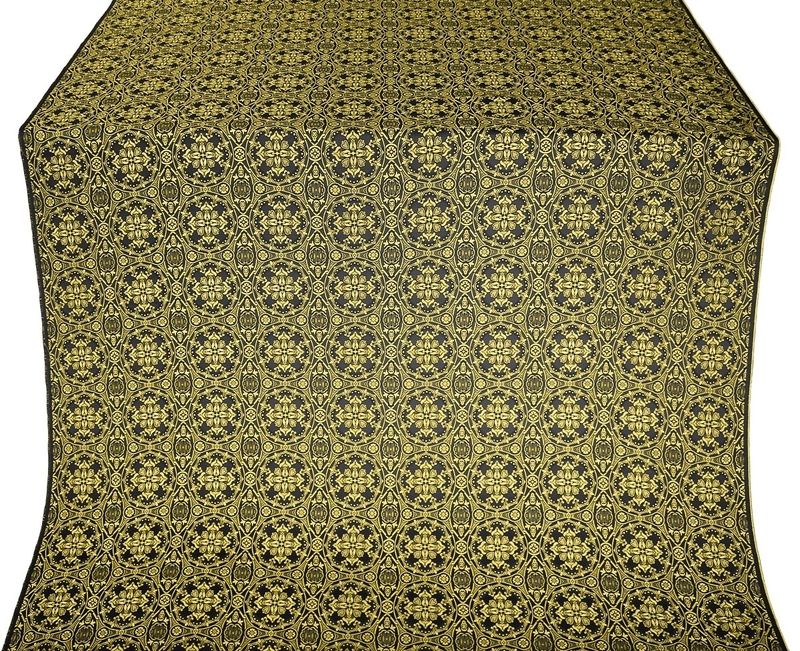 Our rayon brocades black-gold are stunning and beautiful. 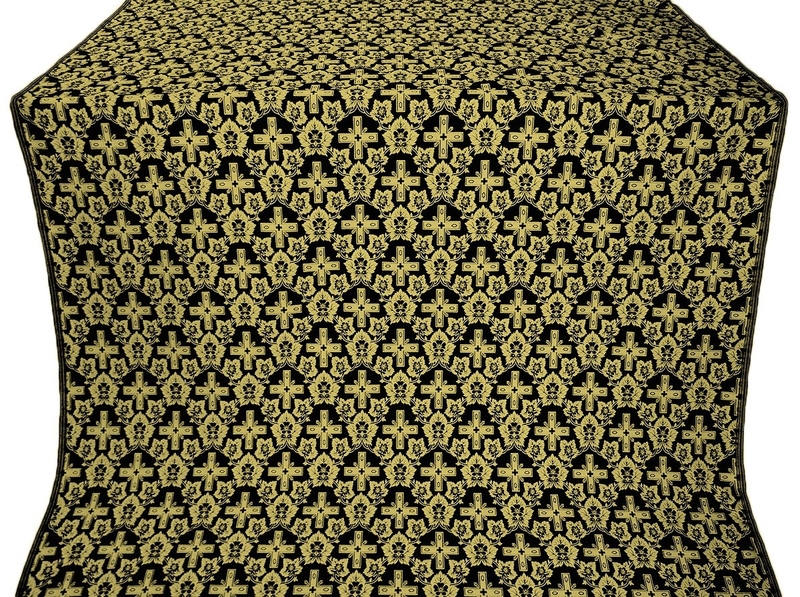 Our trusted suppliers take great care to ensure that patterns and designs stand out prominently, even in dim lighting. At the same time, they work hard to ensure that designs are skillfully woven into the fabrics. 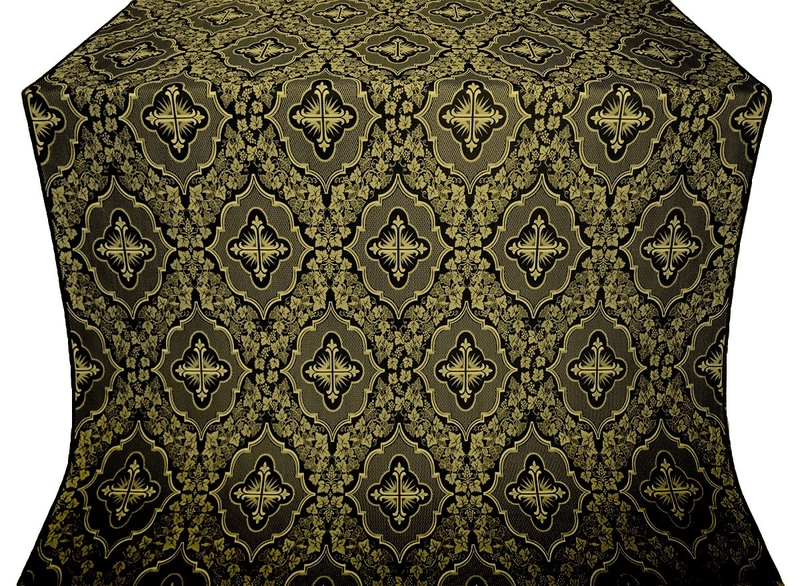 The end result is rayon brocades with a harmonious blend of fabric and design. In bright light, they are radiant and in dim light, they have an ethereal appeal. The designs range from simple to intricate and customers can purchase at their discretion by taking into account various factors such as pricing, requirements, personal taste preferences and so on. 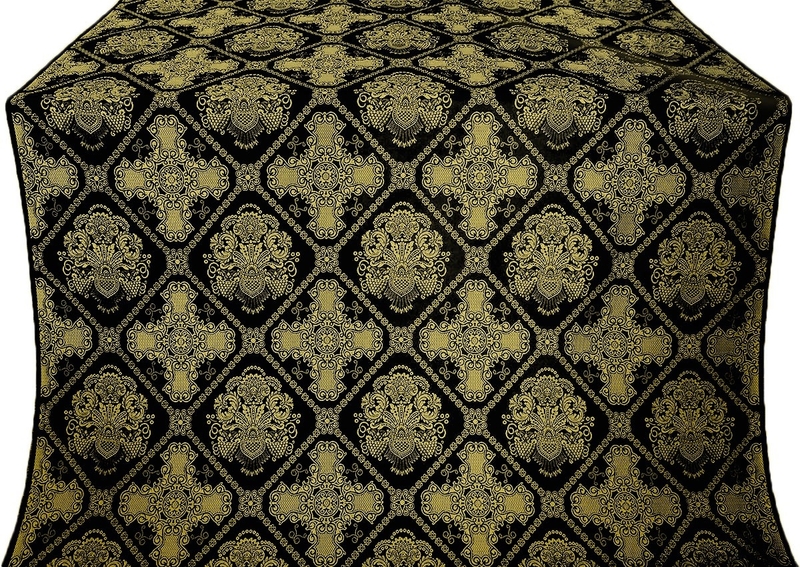 Our black and gold rayon brocades are sold by the meter. We mention the width as well as the repeat size for each listed product, so customers can make well informed decisions. 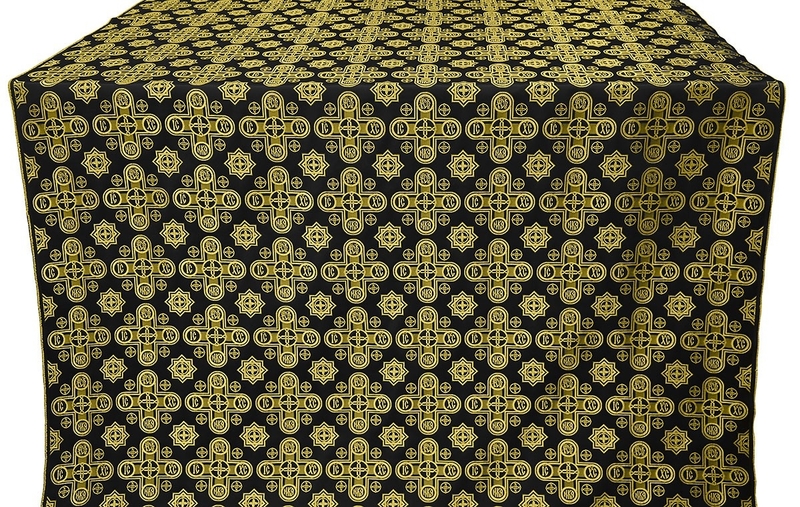 For most brocades, customers can purchase as many meters of cloth as they want, however certain items require a designated minimum order. Customers can check out our bestseller section to find out which designs are most popular among customers. We offer multiple modes of secure payment and provide door delivery services. 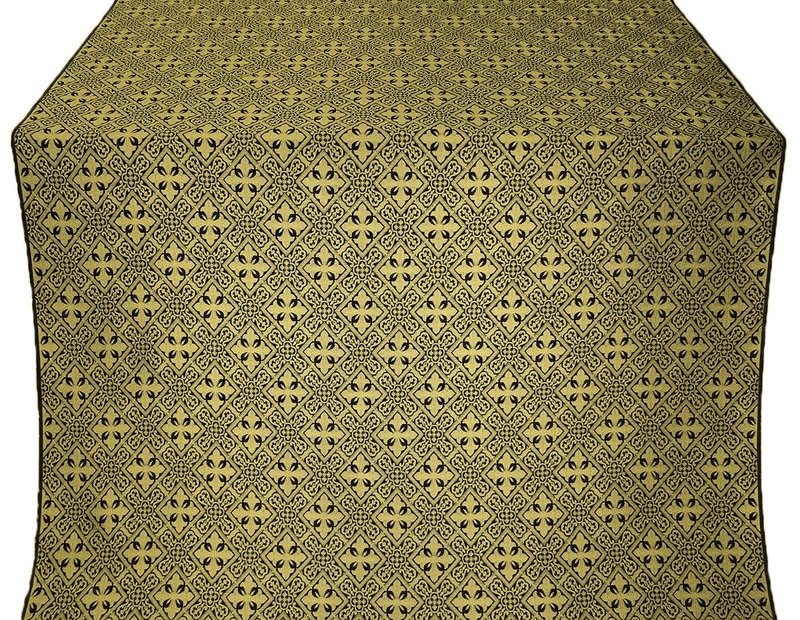 Browse from the convenience of your home and purchase high quality rayon brocade for all your Church requirements!